In the Love Your Money Series, we’ve explored Saving Smart, Developing A Spending Plan, Managing Your Debit Card, and Prepaid Cards. I would be remiss if I didn’t touch upon the subject of credit cards. Credit cards, when used wisely can be another tool in your financial toolbox. But you first need to understand fully all of the card’s terms and conditions; stay on top of payments, preferably by paying in full each month; and realizing the real cost of purchases made with credit when you don’t pay the full amount owed each month. Using a credit card is like taking out a loan and so if you fail to pay the loan in full, you’ll start paying interest on that loan. 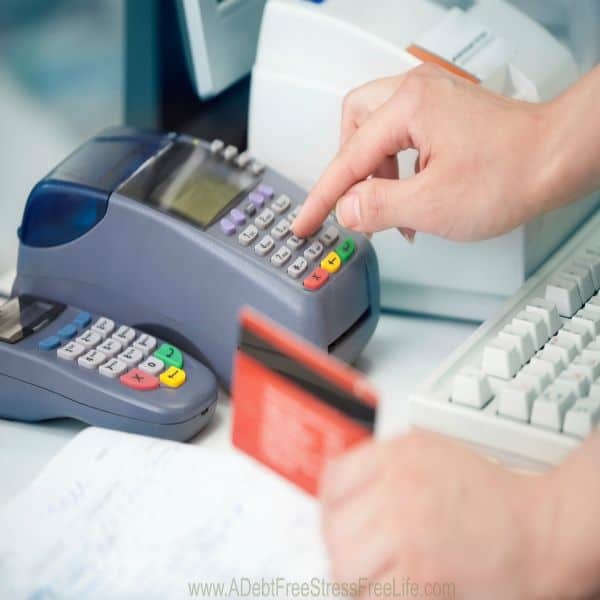 Credit cards do offer many useful features for those who can use them wisely. Figure out the total price of any item you purchase based on the interest you’ll pay. Make sure you understand the personalities for any missed payments and whenever possible, make the largest payment possible if you can’t pay in full. I don’t advocate using credit cards, and I certainly don’t advocate carrying a balance on a credit card. If you do intend to use them the 20-10 “rule of thumb” will help you understand how much you can afford to borrow. Credit cards are loans, so avoid borrowing more than 20 percent of your annual net income on all loans (not including your mortgage). Payments should not exceed 10 percent of your net monthly income. Again, I don’t advocate the use of credit cards nor do I think it’s wise to carry a balance. them promptly. Report as soon as you become aware of a fraudulent charge. Credit scores change over time. These scores are the numerical value used by lenders to assess your credit risk at any given time. It changes based on the history of payments, amounts you owe if you obtain any new credit among other things. Credit scores range from 300 to 850. The higher the score, the better. There are three major credit reporting agencies. You’re entitled to a copy of your credit report annually. Visit Credit Sesame to check your score and get copies of your credit report or contact one of the three major reporting agencies below for your copy. Over 14 million people each year find inaccuracies on their credit reports. They include such things as incorrect late payments, accounts that should have been closed, other people’s debt information and more. Report mistakes right away as errors could lower your credit score, costing you money. Check the last page of your report — instructions for claim disputes are usually on the last page. that it becomes part of your report. If you’ve struggled with debt, the last thing you should do is go out and get more of it by obtaining a credit card. Some people can never use credit cards again while others who have worked through their issues can handle using credit cards because they made a promise to themselves to pay in full when the bill comes in. Only you know where you stand, and whether or not you can withstand the temptations that come with using credit cards. When faced with the choice, choose wisely. Check out the entire Love Your Money Series!